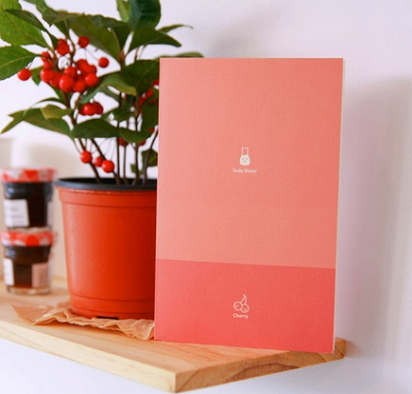 The We Live Here Blank Notebook from Korean stationer Wednesday. 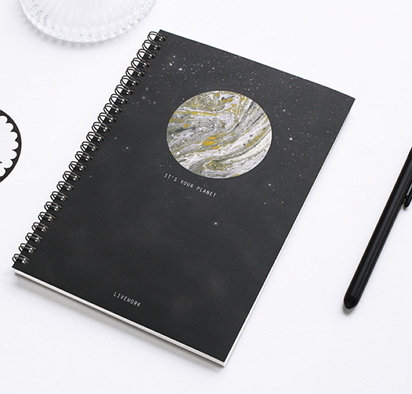 This notebook is made from recycled paper and is printed using earth friendly soy ink. 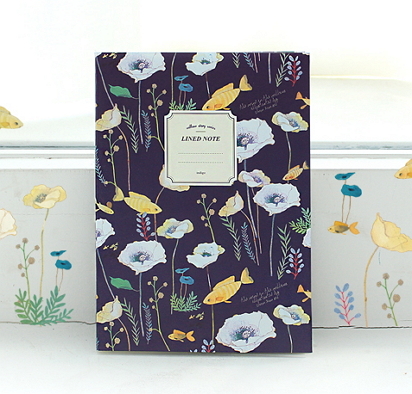 It is a roomy 26cm x 18cm with 82 unlined pages for note-taking, sketching & scrapbooking. View Picture Gallery. 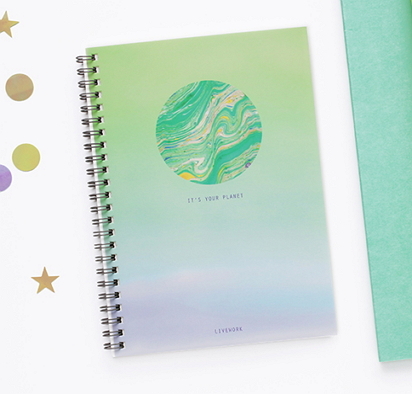 Free notes (blank) - 82 pages.